The Samsung Medison HM70 ultrasound is a mid-range device designed to meet the needs of obstetric 4D applications as well as abdominal, breast, OB/GYN, vascular, veterinary, and other applications. No matter its application, the Medison HM70 ultrasound seeks to provide physicians and sonographers with excellence in patient care and clinical efficiency. To deliver uncompromised image quality, the Medison HM70 features the Hybrid Beamforming Engine, which optimizes processing to enable more detailed, in-depth scanning with a high energy output. Additionally, this ultrasound further enhances imaging with its S-Flow color Doppler and Needle Mate technology that helps guide optimal needle location. In addition to its image quality, the Medison HM70 is also outfitted with several exam and work-enhancing features to make exams easier and more efficient for operators. For instance, ElastoScan aids in earlier detection of malignant diseases, while HD Volume Imaging uses a filter to improve the visualization of edges and small structures in 3D data, all with the simple touch of a button. This is a fairly significant upgrade to the Medison U6, which is the HM70A’s predecessor. The vascular imaging is solid and we found the color flow to be very good. The cardiac is capable, as shared services portable machines go, and works for those needing to perform occasional cardiac studies. 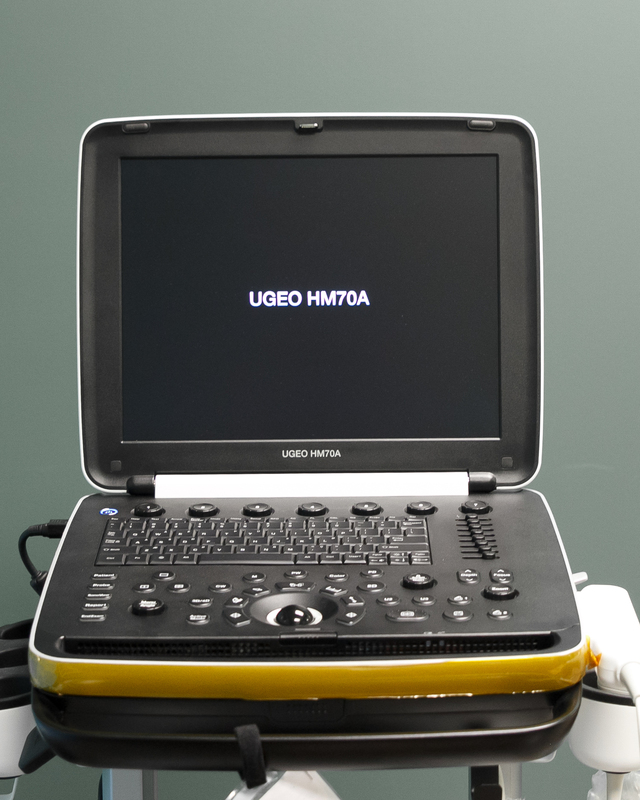 The 4D imaging on the HM70A is an upgrade to that found on the Medison U6, which makes it one of the better portable 4D ultrasound machines on the market today.